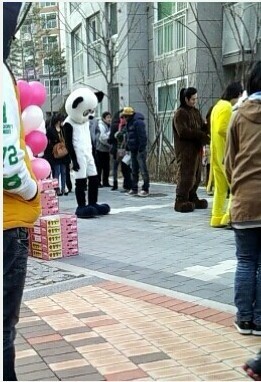 The Dooly version of poster for Jung Suk Won in Rooftop Prince was made public. 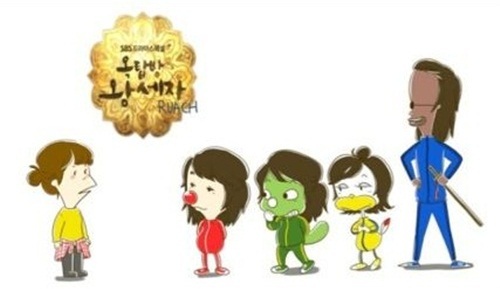 On March 23rd, 2012, Jung Suk Won tweeted on his Twitter account, ‘Begin to wear glass in episode 3?” He uploaded the Dooly version of Rooftop Prince graphic picture. In the published painting, Han Ji Min turns into Go Gil Dong, Park Yoochun becomes Dooly, Lee Min Hoo turns into Douner, while Choi Wook Sik becomes Heedong. In particular, Jung Suk Won receives attention for morphing into Michol with dark skin and long face. Michol is a comedy actor who dreams of becoming a singer in Dooly the Little Dinosaur, but keeps changing because of the influence from friends, as such only becomes loafer who dreams of becoming a singer. After seeing the Dooly version Rooftop Prince photo, netizens commented, “Very cute,” “Jung Suk Won suitable as Michol,” “Han Ji Min is Go Gil Dong? Seems like” and so on.